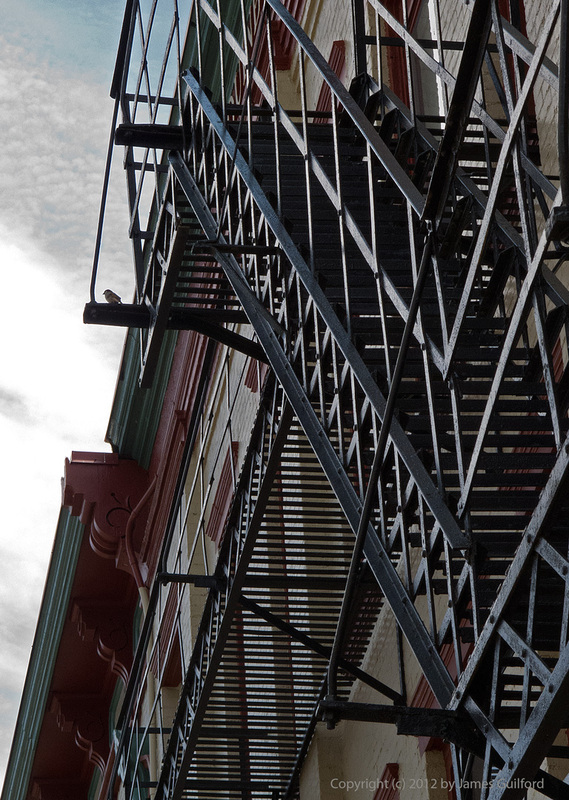 A mess of fire escape iron on the side of a building in downtown Wooster, Ohio. With summer weather already settling in on us, we did our errands this Saturday morning and then slowed down with a relaxing visit to Wooster, Ohio. The city’s downtown area features a number of interesting shops, restaurants and cafes. Downtown Wooster is also home to a number of business start-ups and a major rehab/development project — I see in that, and in other places I have visited recently, a sense of optimism and indications of a real upturn in the regional economy. 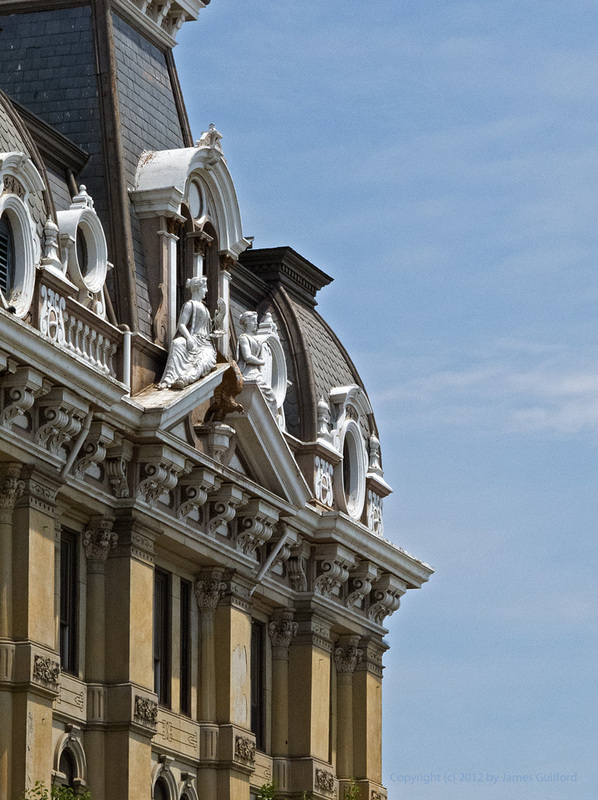 Detail of Wayne County Courthouse, Wooster, Ohio. The Wayne County Courthouse dominates the downtown area and is surrounded by wonderful old brick retail merchant structures dating, it appears, from the mid-1800s. We enjoyed visiting the shops and snapping photographs of the buildings. 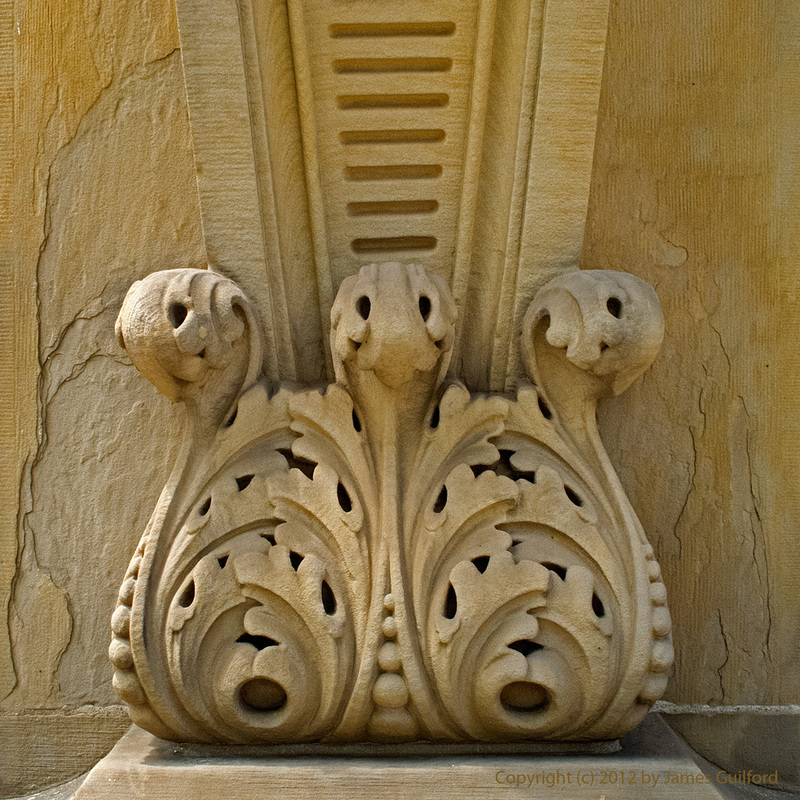 Carved sandstone decoration on Wayne County Courthouse, Wooster, Ohio. Among our favorite visits this day were RoomScapes (where we found wonderful, expensive, “Stressless” reclining chairs by Ekornes we may buy), SoMar Wine Cellars (we bought some good wine there), and Today’s Kitchen Store (a return visit to purchase another excellent pan). The merchants were all friendly, helpful, and conversations with them casual and enjoyable. So’s we would not “cook” our wine purchases in the car (sunny and ~87 F), we made our stop at SoMar the last of our visit and headed home. The first street reminds me of Wooster Street in New York!